I often look for unique compositions and unusual framing. 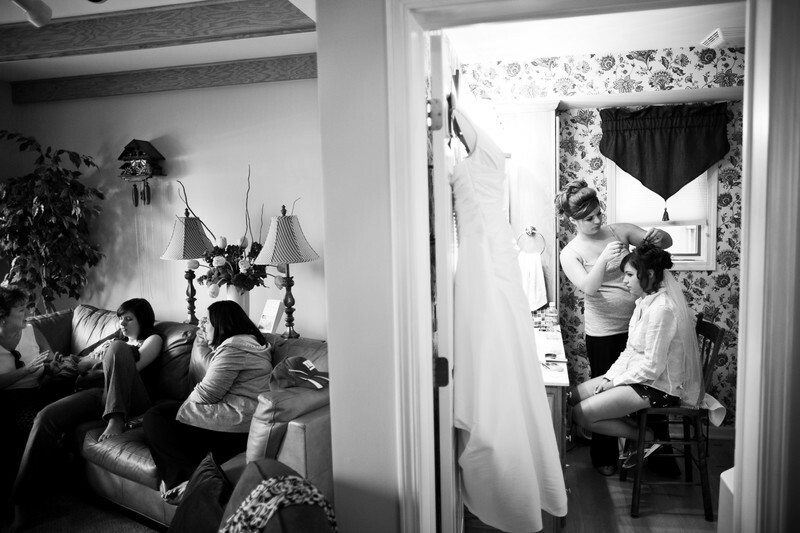 Here the bride was getting her hair done in the bathroom. While outside in the living room a couple of the bridesmaids were watching TV. I love the seriousness of the bathroom with the relaxed nature of what is going on outside. 1/100; f/1.4; ISO 400; 24.0 mm.